Letters From A Tapehead: The Fresh & Onlys: "Yes Or No"
The Fresh & Onlys: "Yes Or No"
"Yes Or No," is the new single from The Fresh & Onlys and will be featured on their upcoming new album, Long Slow Dance. Nice, melodic rock track for a Monday morning. All information and links provided by Force Field PR. 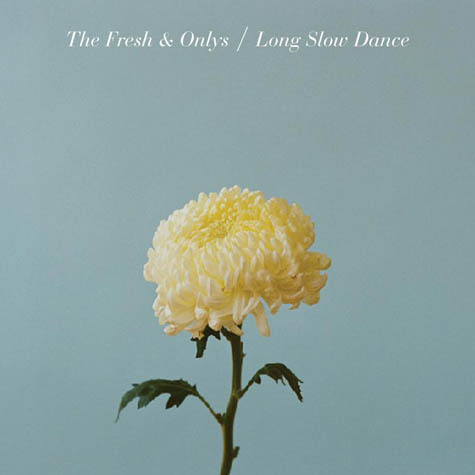 Long Slow Dance, The Fresh & Onlys' fourth highly anticipated album, brings a great new shapeshifting sound. This thing's a breakthrough; the band are joyous, confident--almost dangerous. Due in North America on Sept. 4 on Mexican Summer, that's the cover art above and the track list is below. "LSD" is a mature, anthemic and-in subtle ways-pretty weird album teaming with Morricone-esque flourishes and seemingly disparate genre elements. "We spent more time recording this than we had on records in the past," bassist and co-founder Shayde Sartin says. "Phil Manley certainly had a good influence on us in the studio; he's very meticulous with the kind of sound he's trying to get for each song, and the record definitely has its own vibe," he says. Recorded on the same reel-to-reel that the influential Warren Zevon did "Werewolves of London," these instantly compelling songs demand multiple listens. It's both the San Francisco act's most cohesive work to date and a sprawling selection of stoner-anthems.